The first reading for Module 8 sets the stage for the topic of alcohol use, alcohol misuse, and alcohol use disorders (often abbreviated as AUDs). You may recall from earlier modules that, of all the substances we are studying, alcohol is the one most commonly used by individuals over the age of 12. You also may recall that individuals who have a diagnosable substance use disorder most commonly have a problem with alcohol: alcohol use disorders (AUDs) are far more common than substance use disorders (SUDs) involving illicit drugs, and individuals experiencing a substance use disorder involving illicit drugs often experience a problem with alcohol, too. You may remember seeing the information presented in Figure 1 below back when you read about the NSDUH (SAMHSA, 2016) study results in our coursebook for Module 2 (see Figure 1). You may also recall Figure 2 from our Module 2 reading, based on information from the NSDUH study (SAMHSA, 2016). 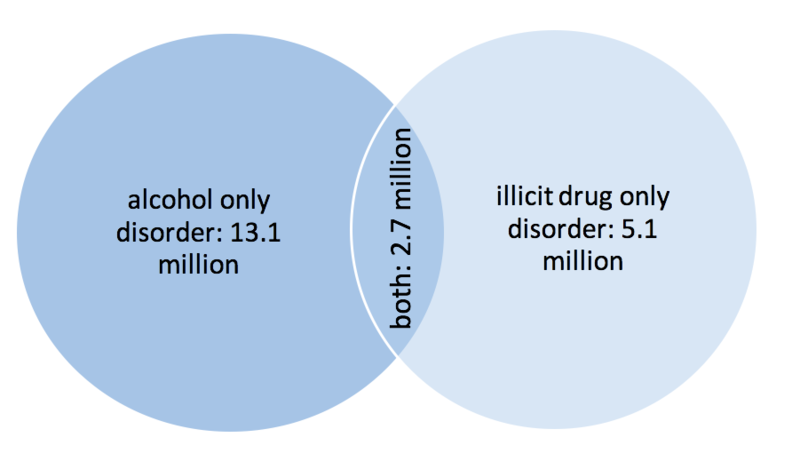 It shows the frequency with which individuals experience substance use disorders involving alcohol only, illicit substances only, or alcohol and illicit substances in combination (see Figure 2). For these reasons, alcohol was chosen as the first of the specific substances that we are exploring in our course. The rest of the reading for this first chapter comes from a traditional textbook about chemical dependency. You will be reading two units about alcohol from Doweiko, H.E. (2009). Concepts of chemical dependency, seventh edition, (pp. 60-88). Belmont, CA: Brooks/Cole, Cengage Learning. 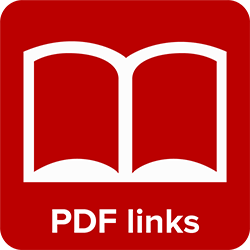 Despite being an older piece, the concepts remain relevant; statistics about alcohol use, alcohol misuse, and alcohol use disorders discussed in the Doweiko (2009) pieces are updated in your lecture series for Module 8. And, to foreshadow what is coming in Module 10 when we talk about stimulants (and caffeine), there is some information to consider about combining energy drinks with alcohol. Ch. 1: Setting the Stage by Audrey Begun is licensed under a Creative Commons Attribution-NonCommercial-NoDerivatives 4.0 International License, except where otherwise noted.